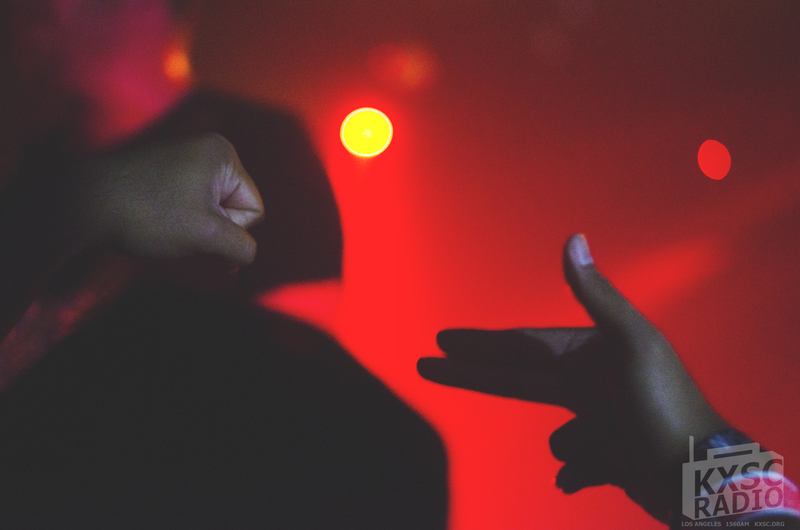 Killer Mike and El-P, together as Run The Jewels, brought east coast rap flavors to Los Angeles at a sold-out Echoplex show, courtesy of Red Bull Sound Select's 30 Days in LA series. Being a huge fan of both their debut album, Run The Jewels (2013) and their second album, Run The Jewels 2 (2014), I was excited out of my mind to cover this show, even considering the possibility I would get trampled under the blazing energy of a thousand angry, hyped fanboys. Despite the discordant choice of an opener, a synth-pop act Mystery Skulls, Run The Jewels brought the fire. From the banging "Oh My Darling Don't Cry" off their new LP, to the cheesy "yeahs" off of the more veteran "36 Inch Chain," fist-and-pistol signs (as well as human bodies) were being thrown around all about. 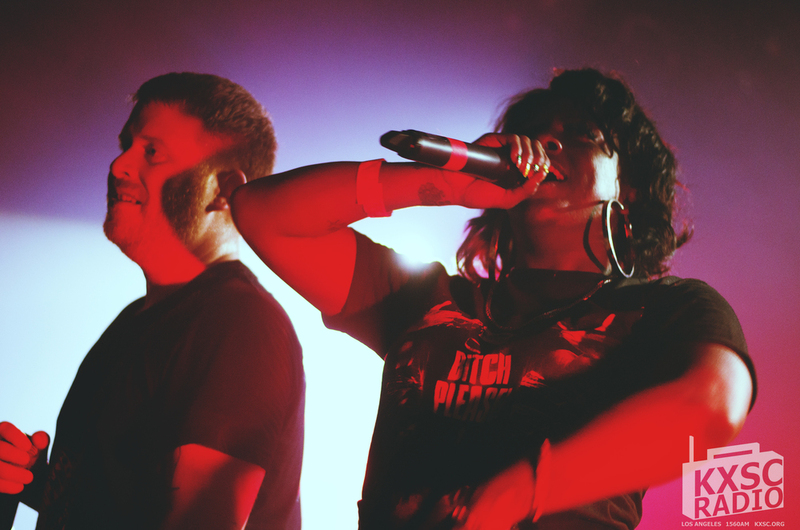 With banter that was hilarious and unexpectedly charming (re: Run The Jewels' egos being as large as their tour van, Killer Mike's weight loss journey, and more), there was as much love in the hot venue as there was sheer 'fuccboi'-fueled anger. Featuring surprise appearances by Zach De La Rocha, Travis Barker (on his birthday, no less), and my personal favorite, Gangsta Boo, I wasn't really sure how the surprise factor could have been maximized further. Until Red Bull passed out free cookies at the end of the show.